Nomad listening spaces for authentic performance art. This Way North + Bernie Griffen and The Thin Men – Sunday, 10 June, 5pm – last show! Join us and these two fabulous bands for the last show! Folk and folk blues for an early Sunday night. Melbourne duo This Way North releases its latest EP Vol. 2: a must-have soundtrack for weekend road-trips and weeknight lounge-room dance parties. The release of EP Vol. 2 will see This Way North spend the first half of June performing throughout New Zealand before heading to Canada to continue the international leg of their tour. Auckland country/alternative music mainstay Bernie Griffen returns with his third album with band The Thin Men this May and is hitting the road to celebrate. Titled ‘Doors Wide Open’, the album follows ‘Salvation’ with his band The Thin Men, and ‘Everything So Far’ in 2012 with his band Bernie Griffen and The Grifters. Album out 25th May and first single out 4th May. Bernie Griffen has won plenty of followers with his dark, emotive brand of folk-country music, even though he didn’t give himself fully over to music until what has to be called his second half of life. The album sees the emergence of his musical collaborator, partner and band member Kirsten Warner. They are joined by Chris Kemp on Drums (Kendall Elise, Tony Daunt and the Dauntless, Swampland, Labretta Suede and the Motel Six) and Garry Trotman on bass (The Remarkables, Wire &Wood). Dubbed Southern Gothic, Bernie Griffen mines a terrain of his own that could also be described as swamp folk or psychedelic country and shows his understanding and feel for his American and Kiwi music roots. Doors Wide Open may be overall light, brighter and less melancholic than his first two albums. But mortality is sometimes on Bernie Griffen’s mind. When I Die is a love song honouring a lifetime with Kirsten Warner. The ‘sweet sorrow’ of the song is an enduring quality of both their voices and music. It’s the first time the couple have recorded an full album together. Seven years ago and struggling as a writer Kirsten Warner turned to music and learned to sing and play guitar. She discovered music is indeed joyful and easily as hard a road as writing. However there’s been great progress on both fronts: Kirsten’s first novel The Sound of Breaking Glass will be published by Wellington’s Makaro Press in July this year, and later in 2018 a volume of poetry will be published by Auckland’s Compound Press. Bernie is a well-known figure in the New Zealand music business and host of the long-running and popular show Border Radio on alternative radio station 95 bFM, specialising in American roots music. 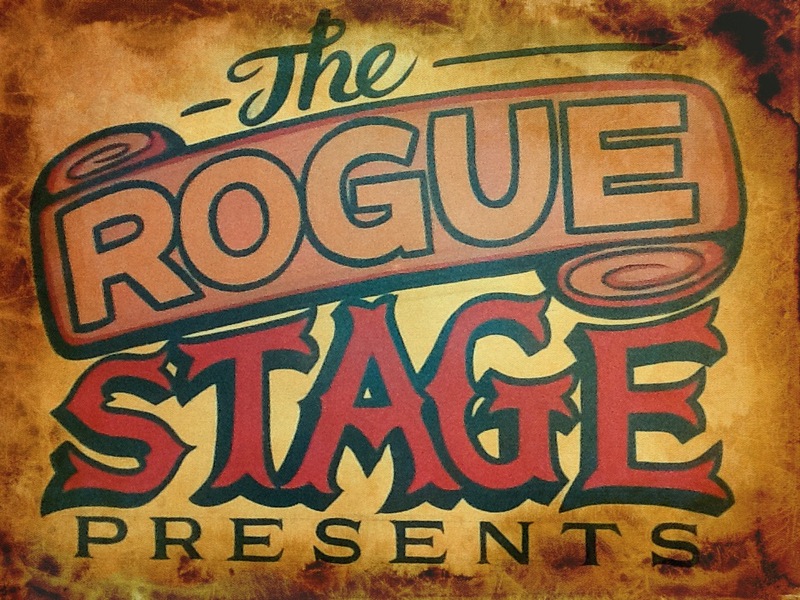 Just to note, this is the last show for The Rogue Stage. This entry was posted in June 2018, Music news in Rotorua, Uncategorized, Upcoming shows and tagged Bernie Griffen, Blues, folk, Prince's Gate, The Rogue Stage, This Way North.